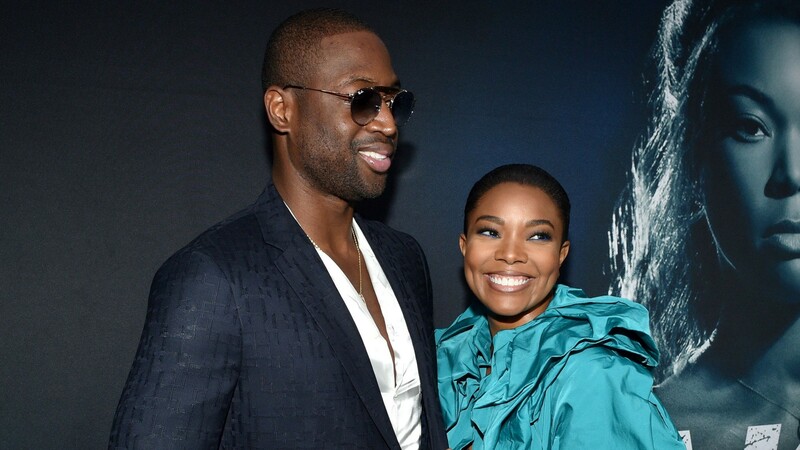 As if we couldn’t love her any more than we already did, we just found out that Gabrielle Union fearlessly supported stepson Zion Wade at a pride parade in Miami over the weekend and we’re living. Proud stepmom Union happily stepped out with 11-year-old Zion, Zion’s older brother Zaire and other Wade family members (including baby Kaavia!) to give a show of support for Zion and other LGBTQ folks attending the parade. Photos posted to social media show that the entire family had so much fun during the time at the parade, and it feels only right we should take a moment to take you through every moment of this outing because it’s just so special. Posts to different family members’ Instagram Stories, including Union’s and Zaire’s (and which can all be viewed below), show the family out in colorful outfits, smiling and having tons of fun in the sun. Zion was rocking a rainbow pin while other photos show the Wades posing together for a group photo, Kaavia wearing her own rainbow onesie, Zion and Zaire posing for a photo together and Union and Zion taking a photo together, too. Honestly, how can you not feel the love in this family and, even better, the support for young Zion as he shows his pride? We’re all choked up right now because this is just incredible. Dwyane Wade’s 11-year-old son Zion celebrates gay pride at the Miami Pride Parade. His brother Zaire Wade and stepmom Gabrielle Union-Wade were there to support him. To make sure the day ended on a high note, E! News reports that Union also took the gang out to a drag show after spending time at the parade. That’s definitely how you end a very fun, loving supportive day and we’re glad to see Union stepping in to make it all happen.